Apply each night to clean, dry skin on face and neck. Full of fruits and plants for beautiful skin in top form. A relaxing herbal infusion that works as a night cream or overnight mask to quench, plump and recharge skin’s batteries while you sleep, so it looks radiant and refreshed by morning. 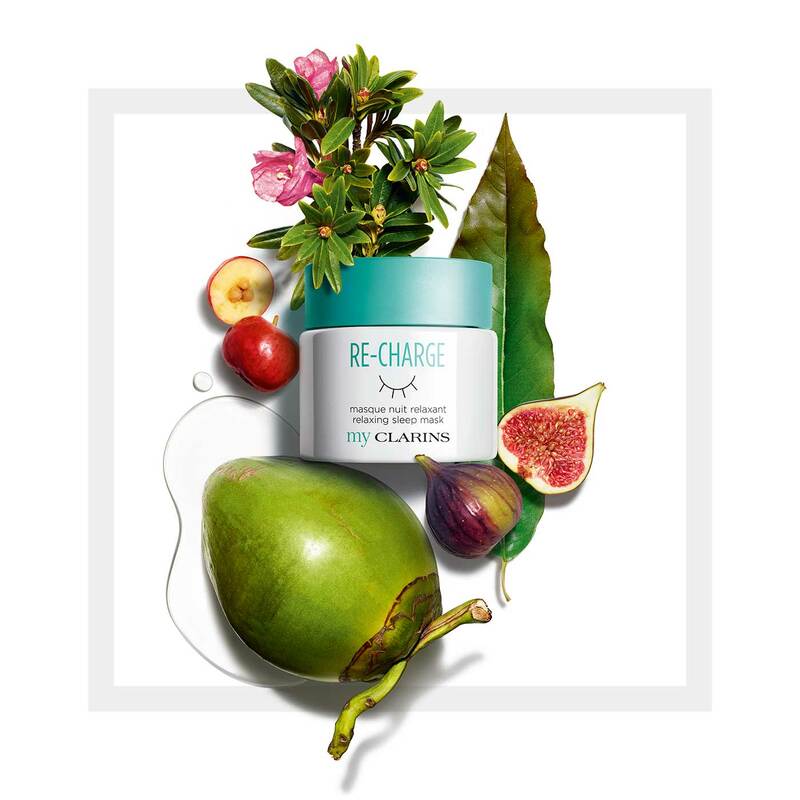 Cream-gel formula, delicately fragranced with notes of Jasmine, refuels skin with a rebalancing blend of Huang Qi, Fig and Acerola seed extracts—plus detoxifying flower waters—for a healthy-looking, rosy glow. My Clarins exclusive Healthy In & Out complex is comprised of Organic Coconut Water to put nutrients into the skin and Alpenrose extract to flush out toxins and pollutants. Your VEGAN FRIENDLY recipe - free of phthalates, parabens, and sulfates - for healthy, radiant, balanced skin by morning. 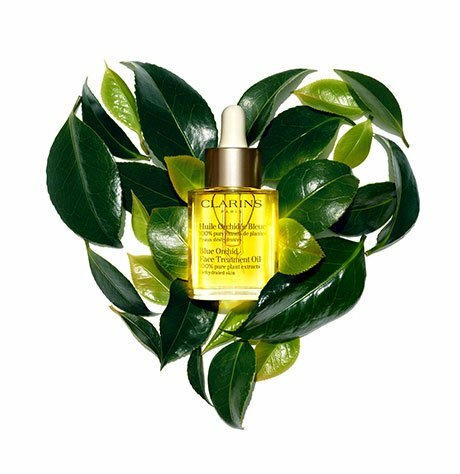 My Clarins is free of all animal-derived ingredients and was not tested on animals. Apply a second layer of product to use 1-3 times a week as a relaxing sleep mask. No need to rinse. Rated 3 out of 5 by lesliem593e from This sleep mask feels nice on the skin. I use it after I shower and it feels cooling as well as refreshing. It helps hydrate the skin. But besides that I didnt really notice a big difference between this product and other products. Rated 4 out of 5 by isy21 from I like this sleep mask because it is made with healthy ingredients, including detoxifying floral waters and fig and acerola seed extracts. Its very easy to use, you just apply it each night to clean, dry skin and thats it. You dont need to rinse it off. This product was relaxing and I would just fall asleep with it on. When I would wake up, my skin would be soft, glowing, and energized. Rated 5 out of 5 by mmcl_ from It is amazing how delicious I sleep when using this product. I apply it at the end of my make-up routine just before sleep, the result I love, my pores wake up healthy and my face smooth. Rated 4 out of 5 by Anonymous from Got this in a vox box and literally after one use noticed a difference. I woke up the next morning and my skin felt absolutely amazing!! Super soft and refreshed! It goes on light which is important to me. I definitely recommend. Im always on a look for a good sleep mask. Rated 5 out of 5 by ohmykosh from I really enjoyed this sleep mask! I felt like it wasn't sticky and it didn't get my pillow dirty! The smell was amazing I do feel like it helped me relax! I feel like when I woke up my skin was glowing! I will definately be getting some more and recommending to friends! Rated 4 out of 5 by itzellopezf03a8be28e from Loved this product! I have dry skin and this has helped me a lot! I put it every night before going to sleep and my skin feels so hydrated. And for my big surprise it didn't made me break out like other products have.